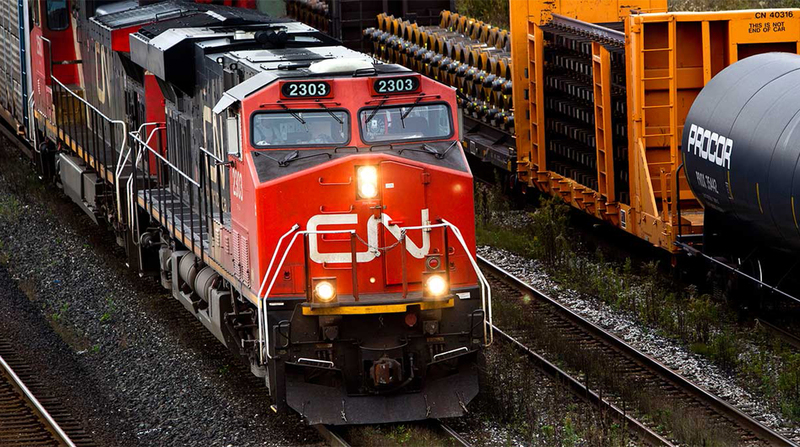 CN also said it is looking at an option to purchase or lease an additional 300 cars. Each railcar has a maximum load capacity of 286,000 pounds. The railcars will be purchased from National Steel Car Ltd., which will manufacture them at its assembly plant in Hamilton, Ontario. National Steel Car has been building freight cars for CN for almost 100 years. Bob Bratina, a member of the Canadian Parliament, said, “CN’s investment in new cars to be built at National Steel Car’s Hamilton plant is huge for the city, but its impact ripples far beyond the Ontario steel and manufacturing economy. This is an investment in the Canadian economy and workers across the country. Besides railcars, CN expects in June to begin taking delivery of the first of 60 new GE locomotives due in service in 2018. The railcar and locomotive purchases are part of the company’s $3.4 billion capital program for 2018. Canadian National operates a transcontinental rail network of 19,600 miles across North America, offering fully integrated transportation services, including intermodal, trucking, freight forwarding, warehousing and distribution. It transports about $250 billion in goods annually.